This simple yet classy wooden table here is a useful decor to own. Made from high quality wood, it is sturdy and will remain in prim condition for years. This table has two wooden drawers. The front side of the drawer is shuttered. Both the drawers have ring like handle, which will help you to access it with ease. 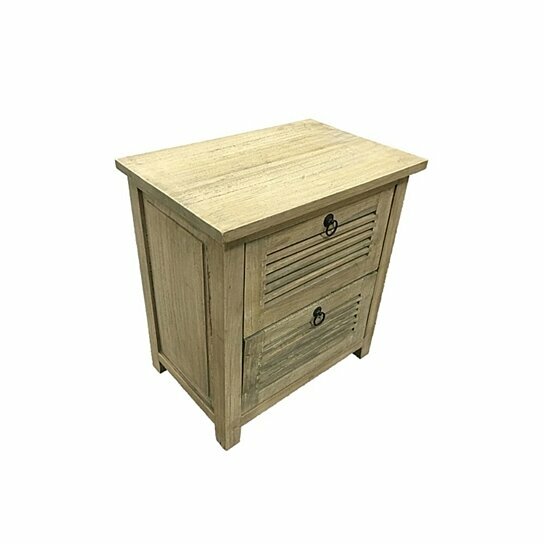 This wooden table in light brown will easily suit all types of home interiors.